In-depth global market research is a time consuming and tedious process especially for technology solutions specifically developed for industry. If you are a technology user looking to make the correct purchase decision, or a supplier looking to grow your business, ARC can help. ARC’s Market Intelligence and Rapid Analysis (MIRA) solution lets you look at data, from various perspectives, easily and quickly. 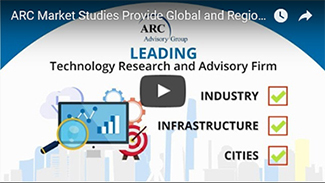 Building on ARC’s traditional market studies, MIRA brings ARC data into a powerful environment that can support over 100 product categories in over 30 vertical markets in all regions of the world. This rapid analysis environment makes ARC market research actionable, unlike any other solution on the market, delivering the ability to select data sets of interest and query for the intelligence and trends you need. Results are displayed in tabular or graphical formats. What is the industrial breakdown of a region? Which suppliers best address those industries? What is the application breakdown by region? What is the market size in this region? Who is the market share leader in this region? How have these numbers changed with time? How will these numbers change in the future? What’s Inside ARC Market Intelligence and Rapid Analysis (MIRA)? ARC MIRA delivers market intelligence in a Microsoft Excel workbook. Excel is the world’s most pervasive analytic environment and ARC has leveraged Excel to deliver a rapid analysis tool based on technology you already know. All the hard work, access to intelligence and results formatting, has been done for you. ARC MIRA is a point and click environment for information analysis, the results of which are available for further manipulation as you see fit in a workbook of your own. MIRA Worldwide Workbook delivers an overview of the entire research area — the players, the shares, and forecast information. This is the primary tool for understanding the competitive landscape, the market size, and many details in product segmentation, go-to-market strategies, revenue breakdown by hardware and software, and many other categories that depend on the specific areas of study. ARC has been careful to standardize as many categories as possible, enabling comparisons across, and aggregations of, data from multiple studies. ARC uses a combination of economic data and primary research to create and maintain an accurate country database for our clients. Economic data is tuned, based on ARC research, to account for regional adoption rates, industry dynamics, and economic circumstances. In the end, ARC believes this is the world’s most accurate resource for industry metrics of this type. MIRA Country Tools deliver ARC research with an unprecedented level of visibility, analytics, and understanding. Country data is presented in many forms, from stack bars to tables of numbers. You can see country contributions to regions, industry contributions to countries, growth or declines in markets at the region level, country level and industry level. All data is available in many local currencies. What is the size of the market in this country? Which markets are growing and how fast? What are the biggest industries in a region? What is the right combination of territories for my sales or support organization? Maybe you deliver solutions for one or more industries. MIRA Vertical is a solution that aggregates ARC domain data in an industry specific view (a vertical view). Interested in the technology expenditures in the oil and gas industry, food, pharmaceutical, or one of 20+ others? That is the deliverable for MIRA Vertical. MIRA Vertical is available for many of ARC's Industry segments, including aerospace & defense, automotive, cement & glass, chemical, electric power generation, electric power T&D, electronics & electrical, fabricated metals, food & beverage, machinery, medical products, mining & metals, oil & gas, pharmaceutical & biotech, plastics & rubber, printing & publishing, pulp & paper, refining, semiconductors, water & wastewater. MIRA is available as an analysis environment for most market research studies. Simply go to our list of study offerings and select the study or studies of interest. Then give ARC a call to discuss study delivery options as PDF or a MIRA Workbook.